The 1st Air Cavalry Division is going home. Going home after almost six years of combat duty in the Republic of Vietnam. The First Team, having served in combat longer than any other U.S. Division, can now look back with a great deal of satisfaction on its many accomplishments. Maj. Gen. George W. Putnam, Jr. commanding general of the 1st Cav, has pointed out that Skytroopers have served with unequalled gallantry, devotion and skill. Let us reflect ... how many times have we reflected this past year ... Vietnam ... half-way around the world ... 365 days long ... Bien Hoa ... Mace ... Phuoc Vinh ... Snuffy ... Dragonshead ... Silver ... Buttons ... Cambodia ... the "bush" ... you've gone a long way baby! Airmobility ... hooks ... hueys ... cobras ... LOHs ... you went a long way, brother, and you came back! People ... blood ... sweat ... tears ... love ... brotherhood ... sharing ... together ...we've gone a long way, brother, and we've made it! Action ... we've seen a lot ... not towards an end of destruction, but rather in the pursuit of a goal of permitting the South Vietnamese to manage their own affairs and live in peace... ARVNs ... they've come a long way baby! 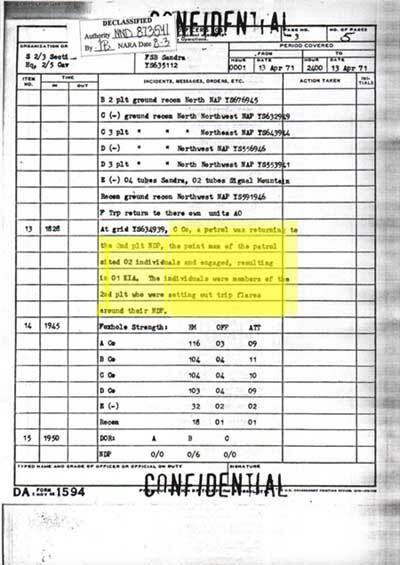 First ... you are, brother ... first full division in Vietnam ... first division to have served in all four military regions ... first division-sized unit to win the Presidential Unit Citation in Vietnam ... first airmobile division ... first into Cambodia! 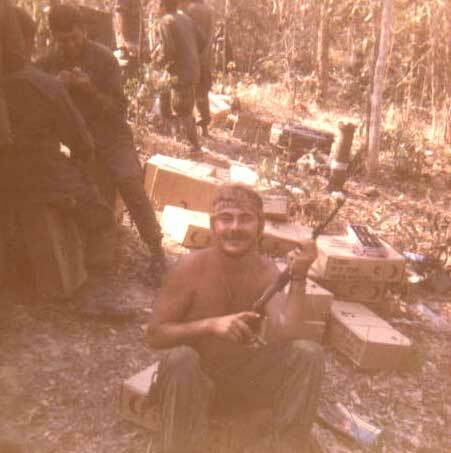 A Year In the Nam... a long year yet a short year a 365 day race towards Deros... an extension with an ETS at the end... waiting for that mail...listening to those "war stories"... a year... will I ever make it?... a two didget midget ... monsoon... rice paddies... together with my buddies (when you can't be with the one you love, love the one you're with) a year how I've changed ...no more hassles... single-didget midget... thoughts of that Freedom Bird... it's almost over! it don't mean nothin yet it has meant everything. it is an experience none will ever forget! 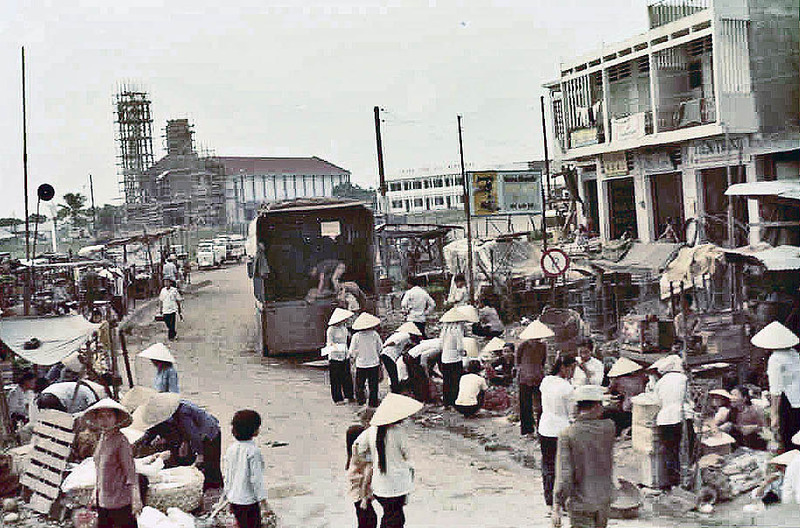 The effort in Vietnam has been highly controversial and may not be seen in proper perspective for many decades, when the younger generation of today is the older generation. It has been an effort to preserve, not destroy, and has faced squarely on the reality of man in the international environment. Each in his own heart knows the depth of his contribution, the extent of his service. To those who have fallen, we owe an unpayable debt. Those who depart the Cav for home have much to remember. Those who remain have much to defend. But the one important thing is the fact that we've been through it together, in the cause of freedom, and we have made it.. We've made it, and because of us, others will also make it. Vietnam will make it. There is much on which we can look with pride. Thank You, Skytroopers! 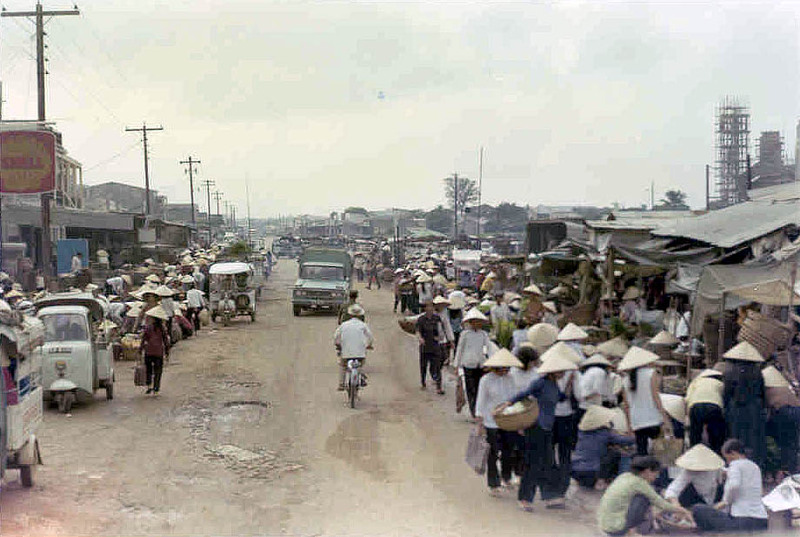 James Marshall was on his way to R&R in Australia when he took these photos of a village market near Tan Son Nhât Airport outside Saigon. 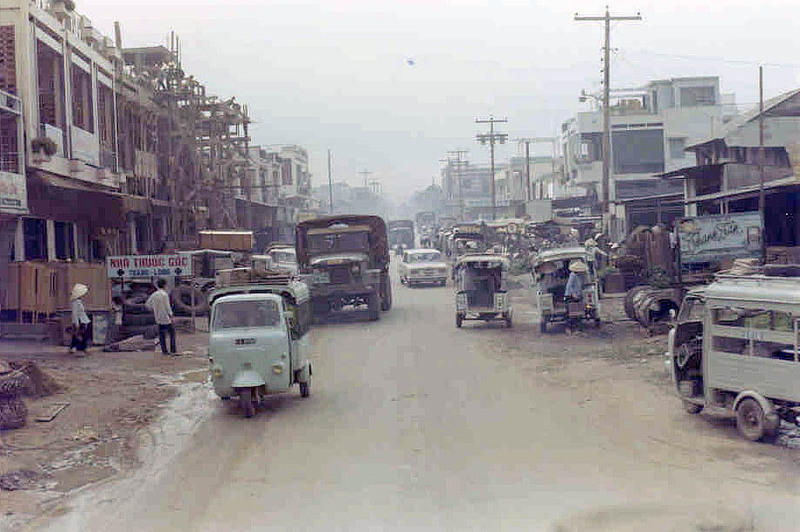 Notice the 3-wheeled Lambretta mini-trucks and the deuce-and-a-half. 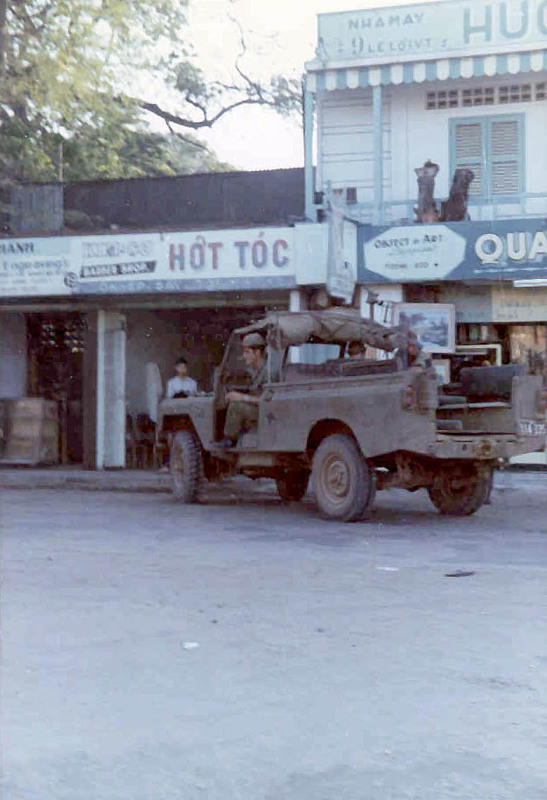 On the way through Saigon, Marshall took this photo of an Australian soldier, parked in front of a barber shop.